LG and Jil Sander (the well known fashion house) have announced the launch of the Jil Sander LG E-906, whose press-shots and specs were leaked, backed in September. The device is up at Expansys which has an UK exclusive on the device and are selling it currently for £299.99. 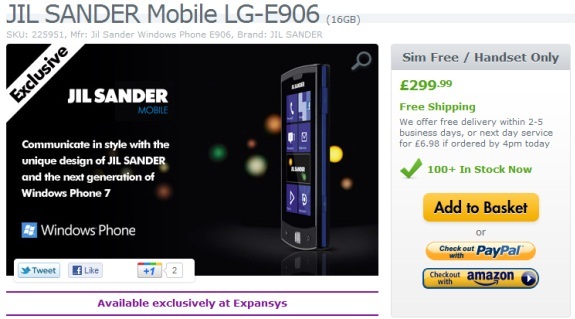 The LG Jil Sander is a refreshed version of the Optimus 7 which was released last year. 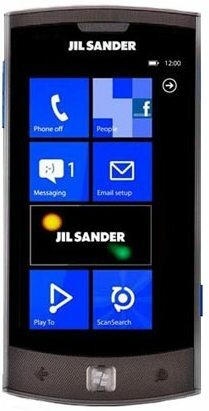 And going in for the specs, the Jil Sander has a 3.8 inch touch-screen (with an 800 x 480 resolution), runs on a 1 GHz CPU, and 5MP camera capable of 720p video, 16 GB of internal memory and runs on Windows Phone 7 OS. Just today we have seen the re-association between LG and fashion house Prada for bringing in another mobile device in 2012. It seems that LG is a favourite among all the fashion houses.